About the Author: Stephen Bentley is an expat from the UK now living in the Philippines. He is a former barrister (trial attorney) and police officer. He has previously written a guide to Filipino 'road culture' and is currently writing a first novel based on his undercover days. Stephen is a regular contributor to several online magazines and covers a variety of topics including undercover policing issues. When he isn't writing, Stephen follows the (mis)fortunes of Liverpool Football Club from afar and relaxes on the beaches of the Philippines with his family. He would like you to know that he will donate 10% of all book sales royalties to the James Bulger Memorial Trust, a UK registered charity. 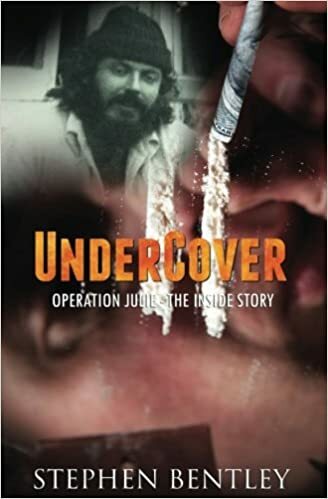 Review: Masterfully told by undercover officer Stephen Bentley, this isn't a run of the mill sensationalist true crime book. Dive underneath the visible parts of the water and into the murky depths as you are pulled along through not just the operation but the aftermath, both personal and public. A must read for true crime lovers and historians alike. I cannot recommend this book enough. It was a very enjoyable read.